POST UME is back, yeah it is better you believe that POST UME is back. I have two news for you, one good news and one bad news. The good news is that POST UME is back, the era of screening point is gone. The screening point have made some people to register for “special center” in order to have 9 A1 in WAEC and they also paid for JAMB runs just because they want to study big courses like medicine and surgery, law, pharmacy and so on. Now that POST UME has been introduced, the admission slot will be given to those that really prepared for the exam and passed on merit. The bad news is that the news was announced late as schools will soon start selling their respective POST UME form. 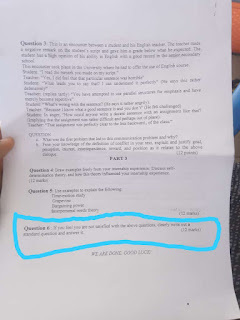 I understand the fact that most students were not preparing for this exam, most of the students are busy learning skills, but now that there is POST UME then i will advise you to start dusting the book that have been abandoned immediately after the conclusion of JAMB exam and start reading like there is no tomorrow because you have a very short time. Though some schools might still want to conduct screening but I am very certain that schools like UNIBEN, UNILAG, UI, OAU, FUNAAB,FUTA will conduct POST UME exam. 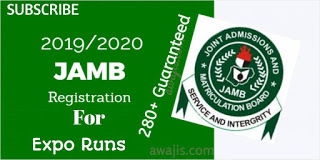 Now let’s us go into the main aim of this post; how to pass POST JAMB easily. There are alot of ways to pass POST JAMB but have it in mind that the method that works for me might not work for you and vice versa. Although your method of passing POST JAMB might be different but there is one thing that will surely be similar, which is “Reading of books”. 2. Where can i get the past questions. 3. Set a limit for yourself. The truth is that universities are very lazy to set new questions for the exam therefore they recycle previous year’s questions. Make sure you get the past questions for your school and study the past questions well. *You can get it online: Google has made everything easy for us, just type the school name with past questions, for example type UNILAG Past Questions on Google. It will surely bring out what you need either in PDF format or you will see it on the website. If you choose UI as your preferred school, then i have some past questions for only science students on this blog. You can check it out here. *Get it in the bookstore: You can get the hard-copy in the bookstore if you don’t like the soft copy. Most times, some bookstores might not have the past questions, so i will advise you to go to the bookstore inside the school campus (the school you applied in JAMB). Yeah, you need to set a limit in terms of what you need to score in POST JAMB exam. For instance, the POST UME exam is over 400marks, then you should set a limit above average which is 200 and above. This will help you work towards your goal (that’s if you are really sincere with your goal). You should have it in mind that you are competing with numerous candidates for limited admission slot, so you should make your limit a little bit higher. You might not really need this but i will advise an average student that want to get admitted this year to attend tutorials for the short period of time you have left. The benefit you will gain from attending tutorials is that it will help you check yourself to know if you are really ready and also it will revive your memory about what you have always known. Have it in mind to always put God first in whatever you do, mistakes might occur when they are marking the exam paper but put God first and always pray as you read. Getting to the exam hall early will help you to relax your mind and also help you to remember all what you have read. I know you won’t want a situation where the exam would have began before you reach the exam hall. I expect you to use this time to check if all the materials you need for the exam is intact. 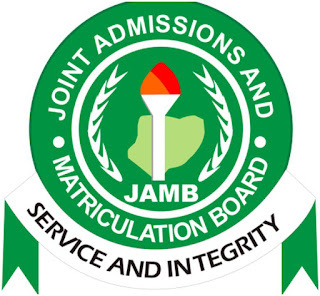 0 Response to "JAMB UTME: How To Pass POST UME With Ease "